"Welcome back, Peter…" This is the first horror film from director Tom Holland since Thinner in 1996. Rock Paper Dead is the new horror film made by Tom Holland, director of the original Fright Night, Child's Play and Thinner. The film is about a serial killer named Peter "the Doll Maker" Harris, played by Luke Macfarlane, who returns to his hometown after being "cured" in a mental hospital only to relapse into his spooky, doll-maker, serial killer ways. The full cast includes Michael Madsen, Tatum O'Neal, Maureen McCormick, and Jennifer Titus. With so much innovative and unique horror being made, by comparison this looks rather lackluster. Even the lead actor seems miscast, the whole film just seems weird. From the creators of Friday the 13th and Child's Play!, Rock Paper Dead is the story of serial killer, Peter "the Doll Maker" Harris. Peter returns to his ancestral family home after being released from the state's hospital for the criminally insane after ten years - a "cured" man. Once inside the old house, anguished memories from a tortured childhood and ghostly visitations from his past victims shake Peter's resolve. It isn't until lovely young Ashley enters his life that Peter makes a fateful decision, a decision that will rekindle old desires that always ended in murder. Rock Paper Dead is directed by veteran filmmaker Tom Holland, director of the original Fright Night, Fatal Beauty, Child's Play, The Temp, Thinner, To Hell with You, and Tom Holland's Twisted Tales previously. The screenplay is by Kerry Fleming and Victor Miller. 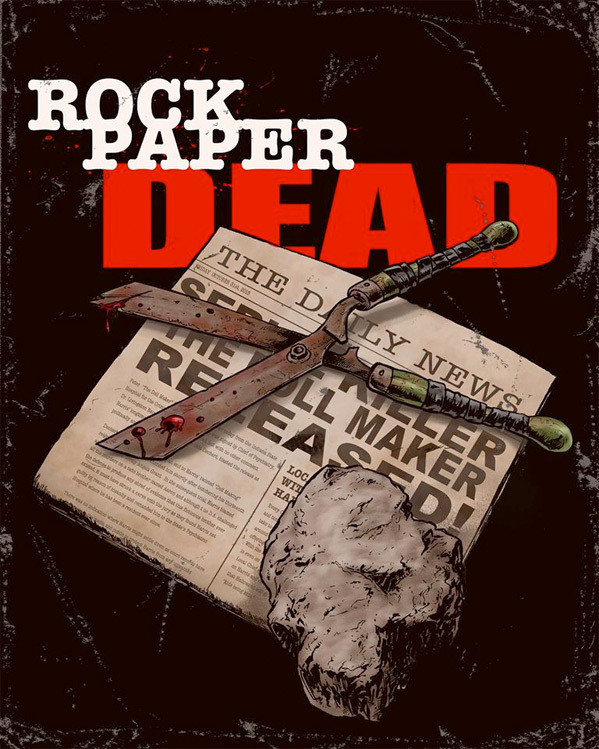 Rock Paper Dead will be released sometime in 2017, but no exact date has been set yet. First impression?